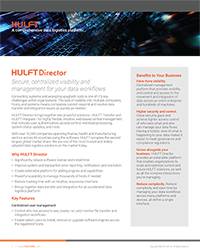 Streamline and support your big data initiatives. Get real-time visibility into your industrial data flow, and remove inefficient processes in your supply chain network with HULFT solutions for manufacturing IoT. The manufacturing industry is changing. Big data, Industry 4.0, the Internet of Things (IoT) – these are more than mere buzzwords. They are powerful, transformative factors in business success. To keep an edge in the evolving market, businesses must make their workflows and infrastructure work in seamless harmony. Therefore, the systems that enable this data exchange have become crucial. Introducing HULFT: the global name for digitisation, data transfer, integration, and Manufacturing IoT solutions. Many major businesses today are struggling with Enterprise Resource Planning software that creates obstacles to effective integration. Your out-of-box ERP’s workflow feature may not be compatible with the company’s infrastructure. Most likely, it is difficult to integrate production management systems across various divisions, preventing real-time access to data. As HULFT’s UK partner, Influential is ideally situated to offer the comprehensive range of UK HULFT Solutions, HULFT Services and Support. Your business can be confident in the knowledge that HULFT and Influential have 25 years of experience in the manufacturing sector. Join businesses across 43 countries who have transformed their business through Manufacturing IoT Solutions. Influential’s HULFT team is qualified to advise your business on the best HULFT solutions – HULFT Integrate, HULFT Transfer, or HULFT Director – for your data needs. Here’s why critical manufacturing systems worldwide are turning to HULFT’s IoT solutions. 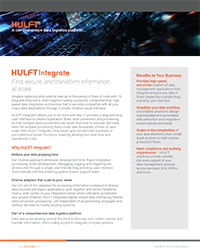 Eliminate inefficiency: By automating extraction, transformation, and validation of order ingestion, HULFT Integrate removes inefficient processes that decrease the value in your supply chain network. Increased accuracy in your inventory means less wasted time. Data synchronisation across a wide range of systems provides one version of the truth. 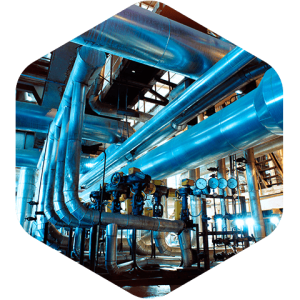 Increase control: Real-time visibility into your industrial data flow enables quick decisions and smart reactions. With all your manufacturing data flows at your fingertips as they evolve, you are able to account for security implications in advance. HULFT includes built-in tools for tracking, proof of origin, proof of delivery, and protection from faults. Accelerate initiatives: Streamline and support your big data initiatives, making implementation all the faster. HULFT’s data transfer and integration solutions eliminate the latency between business processes and operational efficiencies. Fast-forwarding your business to IoT industry 4.0 with the minimum of disruption, HULFT deploys a comprehensive solution. Want to Integrate Your Data?